Hike in the Escambray Mountains. Photo cortesy of Bonnie McBride. Miles and miles of beaches : ) ! Photo courtesy of Bonnie McBride. See amazing flora when it is – 40 C in Canada! Photo courtesy Bonnie McBride. Visit the Topes de Collantes National Park and swim in the waterfall pool if you like. Photo Courtesy of Bonnie McBride. I have been asked by several people interested in joining my 3rd Mid Winter Cuban Salsa Dance and Paint Group Holiday (Jan. 11th – 25th, 2018) if they need to be an artist or painter to join the tour. Registration deadline is Dec. 15th, 2018. Call 1-877-335-7655 toll free to reserve your space or for pricing and details. Save $300. CAD by registering before Sept. 30th, 2018. But if you do want to try your hand at painting, there are painters of all levels joining us. An introductory painting kit can be assembled for you at a small cost so you do not need to make the huge outlay for art materials if you currently do not own any! (You would be charged for materials on a pay per use basis. You never know you may just find you have a new hidden talent you enjoy! Visit Spanish Colonial sugar plantations. Photo courtesy of Sharon Turner. 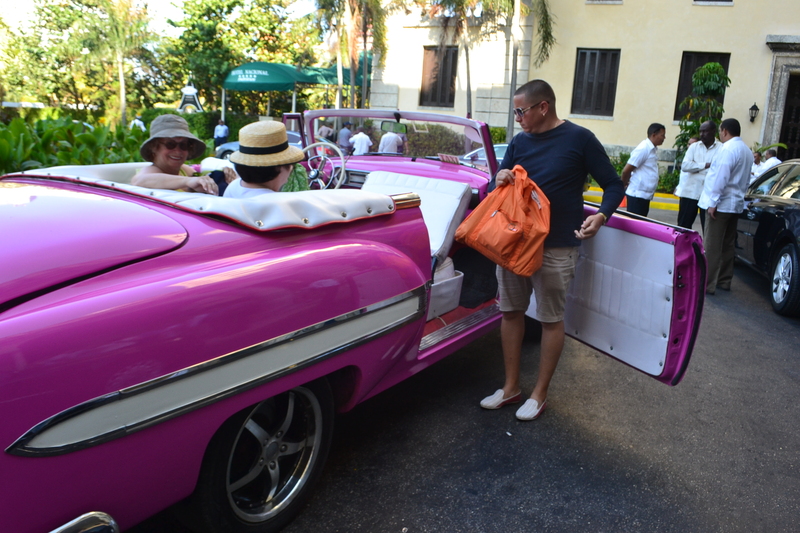 Visit the Historical Hotel National in Havana. Photo courtesy of Sharon Turner. Enjoy amazing local cuisine! 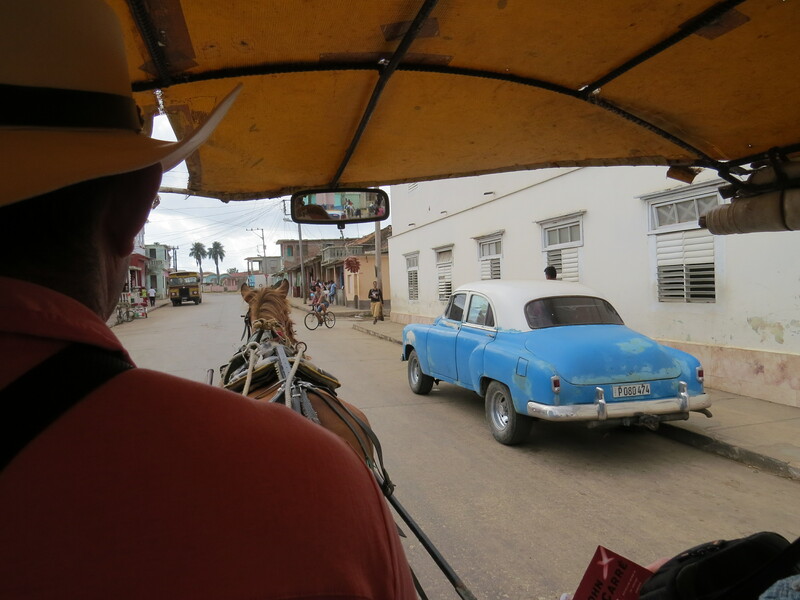 Don’t believe everything you hear about the food in Cuba. If you eat like the locals where the locals eat the food is amazing! Fresh fruit at the local vender’s. Photo credit Bonnie McBride. The best coffee anywhere! Photo by Bonnie McBride. Enjoy lobster, pig roasts, cervesa, and more and more! Photo by Bonnie McBride. Breakfasts served by your casa hosts daily! Photo by Bonnie McBride. Inside a casa. Photo by Bonnie McBride. Taking produce to market. Photo by Bonnie McBride. View of sitting room from loft bedroom of one of the casa we stayed in in 2016. Photo by Bonnie McBride. Shop for old treasures at local markets. Photo by N.Jacquin. One of our casas in Trinidad. Photo by Sharon Turner. Enjoy personal introductions to some of Cuba’s international artists like Yudith Vidal Faife of Trinidad, Cuba. Photo courtesy of Sharon Turner. 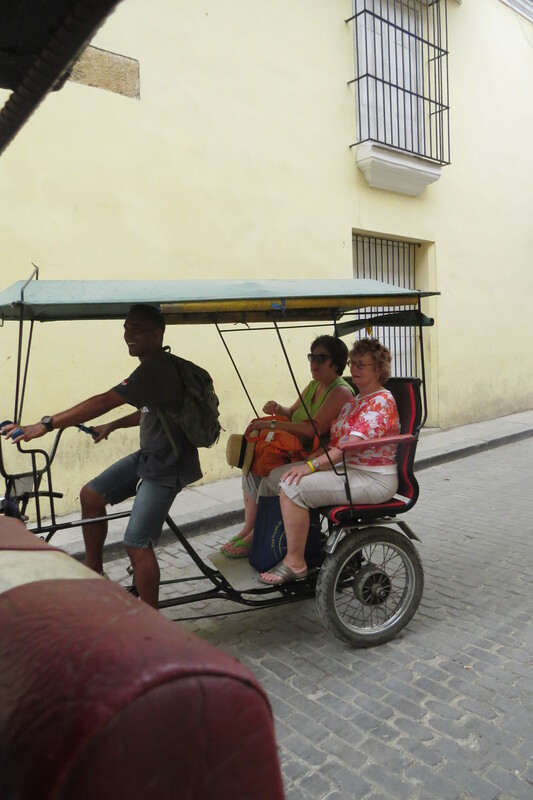 Travel by every imaginable means available in Cuba! They are right when they say the journey is just as important as the destination! 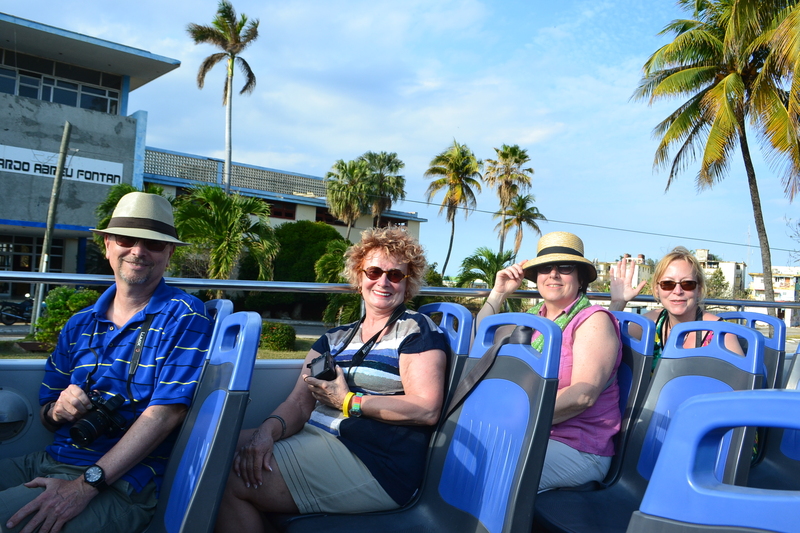 All in country transfers to scheduled events are included. Pink convertible anyone? Photo by N.Jacquin. 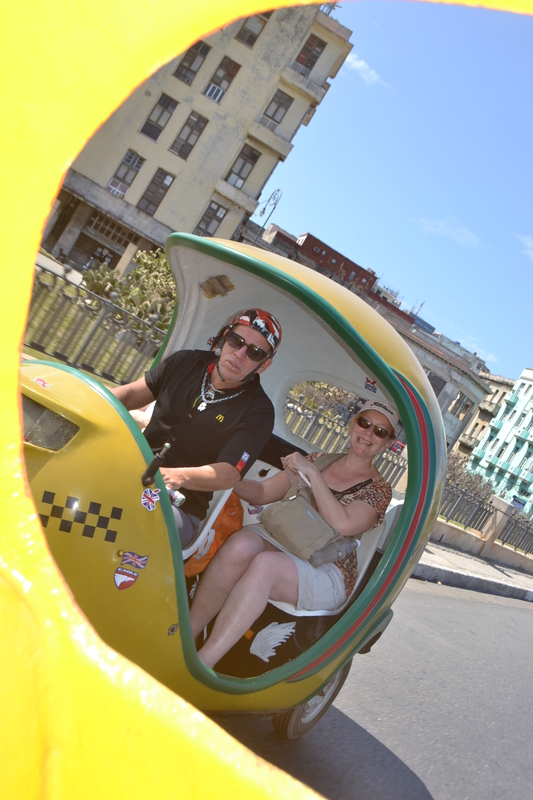 The coco taxis were my favourite! Photo by Bonnie McBride. 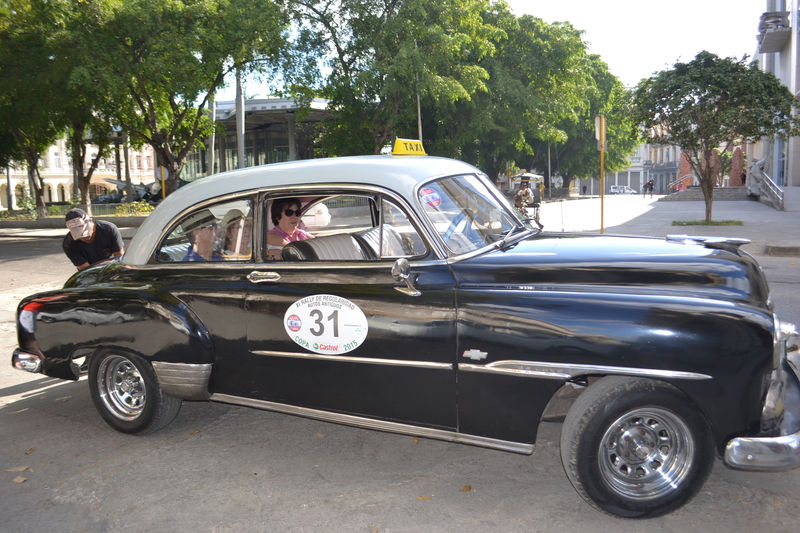 And yes we do paint, sketch and just enjoy the warm weather and hospitality of the Cuban people. I hope you will consider joining me this Jan. 2019!